Organized and led by board-certified plastic surgeon and hand surgeon, Dr. Grant Thomson, we are a group of plastic surgery-trained and orthopaedic surgery-trained hand surgeons, residents, and fellows who travel to developing countries performing hand surgery on children and adults with congenital defects and traumatic deformities with limited to no access to proper care. This year we will be traveling to Peru from April 27th to May 5th to treat patients, the parents of whom sometimes travel miles and miles across the country to obtain surgical care for their children. This trip will include a complete team of medical professionals including plastic surgeons, orthopedic surgeons, anesthesiologists, pediatricians, nurses, interpreters, and physical and occupational therapists. Last year alone, we were able to consult on over 150 patients in the hand surgery clinic and to perform nearly 70 surgeries on children and adults, many of whom had waited years to see a hand surgeon. Thanks to generous donors like you, we are able to reach hundreds of children and adults who otherwise would never see a hand surgeon. As a nonprofit organization, all members of our team are unpaid volunteers. We partner with local hospitals for operating room space and we provide all surgical equipment and supplies including instruments, medical devices, sutures, anesthesia, antibiotics, pain medications, bandages, and post-operative care at no charge to our patients or their families. Our goal this year is to raise $25,000 in this online team campaign to support the mission. Thank you so much for considering making a donation to support this great cause! To learn more about our mission, check out our website: www.handhelp.org. *Hand Help, Inc. is a nonprofit charity organization. All donations are tax-deductible. Tax ID is 27-3940034. 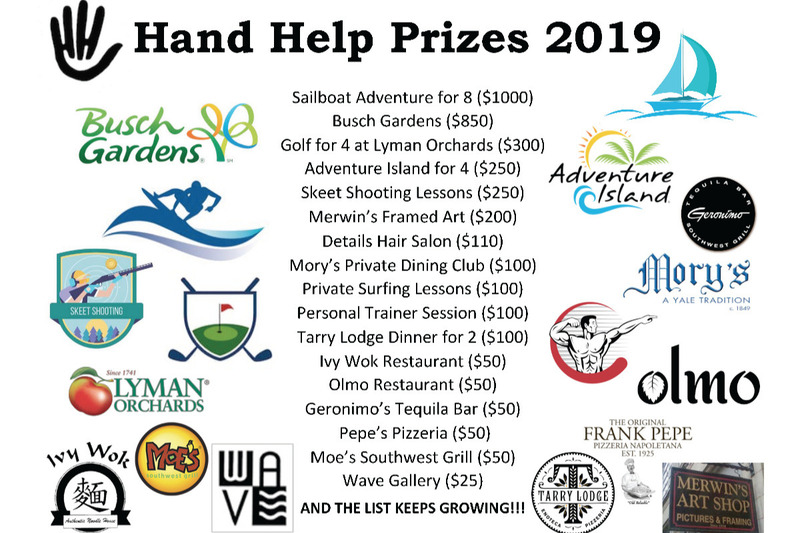 Congratulations and thank you all for the incredible, continued support of Hand Help and our pediatric hand surgery missions around the world! Between several offline donations and the funds generated from the 3rd Annual Cheers for Charity Pub Crawl supporting Hand Help, we have raised over $13,850 in the past two weeks alone!!! 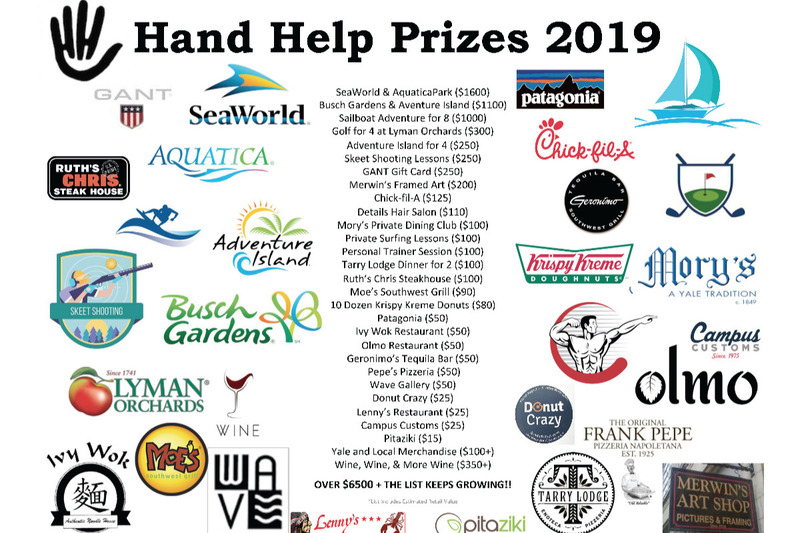 Thanks to the generosity of family, friends, co-workers, classmates, colleagues, and people simply inspired to support Hand Help and this important mission, we all went flying past the $25,000 finish line for this year's team fundraising target--more than doubling last year's target!!! 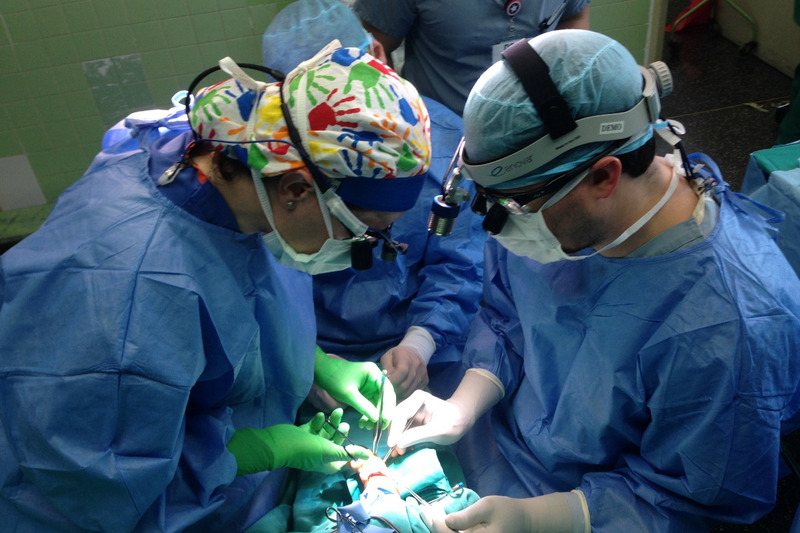 We are very excited to be returning to Instituto National de la Salud del Nino in Lima, Peru this April to provide free hand surgery to children who otherwise would not be helped. We will be posting updates throughout the week, so please keep up with us, share our story, and be proud of what you have helped us to accomplish. We are very proud to have each and every one of you on our team! To learn more about our mission, check out our website at www.handhelp.org. and everyone on the Hand Help 2019 Team! Don't forget to purchase your advance tickets at www.handhelp.org and join us for the philanthropy event of the year benefiting Hand Help! 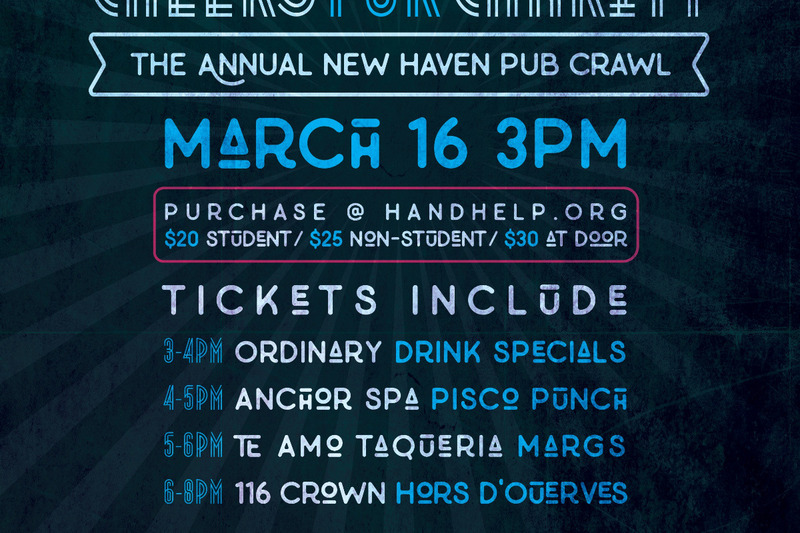 The 3rd Annual Cheers for Charity Pub Crawl is all set at our favorite restaurants and bars in downtown New Haven...so come enjoy FREE drinks, FREE food, and over $6500 in prizes to win along the way! 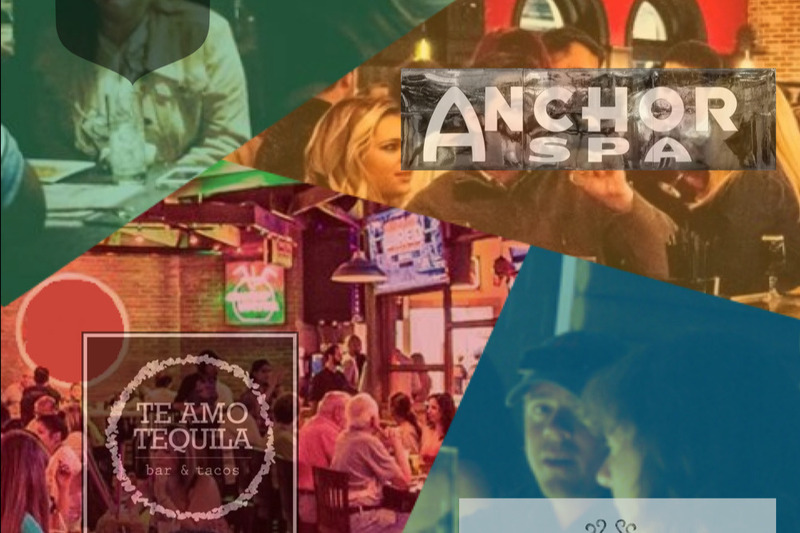 The first 20 people to check-in at Ordinary Bar (990 Chapel Street) beginning at 3PM Saturday will be given FREE prize tickets! If you cannot join us for the event, but would like to support Hand Help from afar, please donate here and share our mission with your family, friends, colleagues, classmates, and peers via email, Facebook, Twitter, Instagram. If anyone would like to become more involved with Hand Help and our pediatric hand surgery missions, or would like any additional information about our organization, please feel free to contact me directly. Marc and the Hand Help Mission team!!! *Hand Help, Inc. is a nonprofit charity organization. All donations are tax-deductible. Tax ID 27-3940034. Congratulations, Team! We are less than $5,000 away from raising $25,000 for this year's mission! The Cheers for Charity Pub Crawl ticket button has launched and is available at www.handhelp.org---and the Prize List for this year's drawing is rapidly growing! 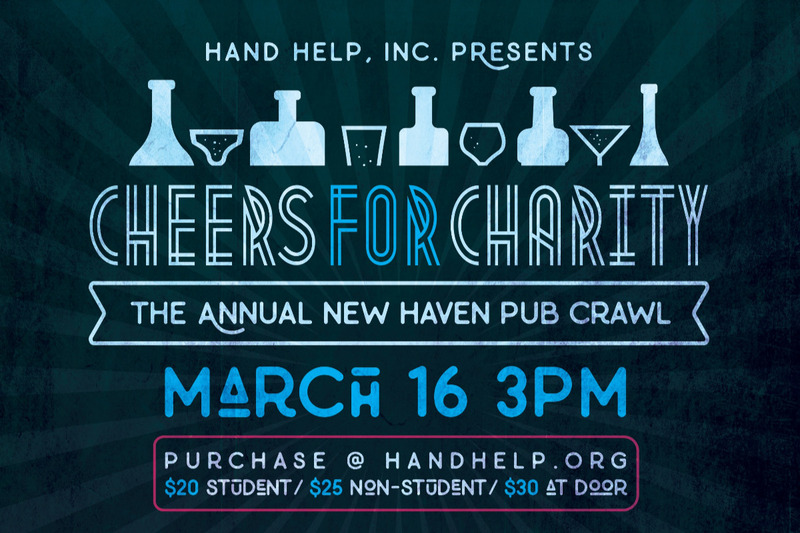 Help us get to the finish line by joining us for the Annual Cheers for Charity Pub Crawl for FREE DRINKS and FREE FOOD in New Haven on Saturday, March 16th. If you cannot join, but would like to support Hand Help from afar, please donate here and share our mission with your family, friends, colleagues, classmates, and peers via email, Facebook, Twitter, Instagram. Marc and the Hand Help team!!! 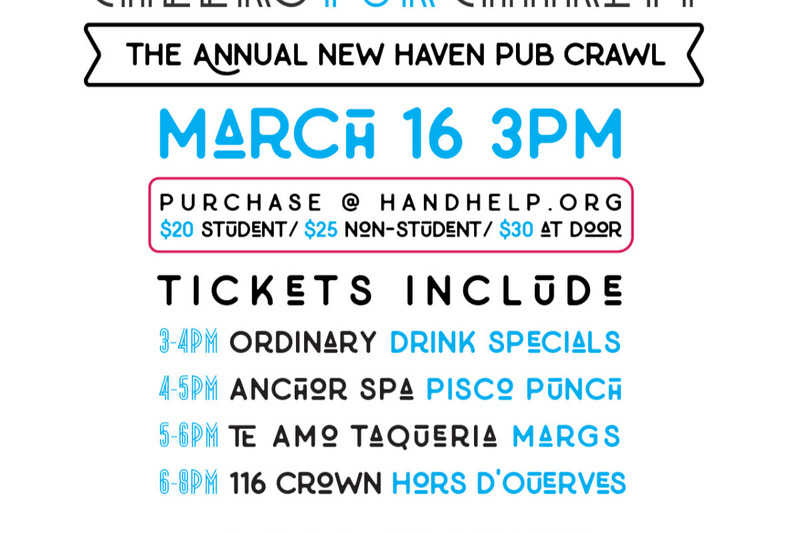 We are excited to announce that Hand Help's 3rd Annual Cheers for Charity Pub Crawl will be held on Saturday, March 16th. 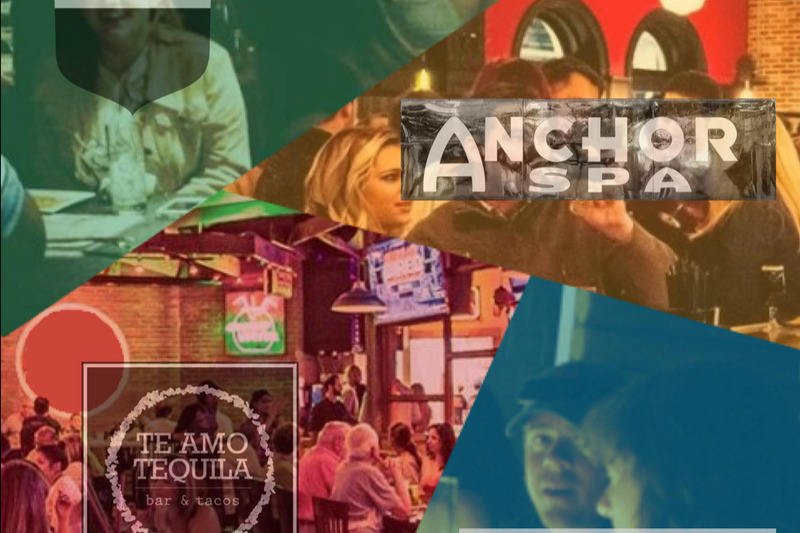 Starting at 3PM at Ordinary Bar then Anchor Spa then Te Amo and ending at 116 Crown, some of our favorite local restaurants/bars are offering FREE DRINKS and FREE FOOD to those of you who join us to support our pediatric hand surgery mission! We've gathered nearly $5000 IN PRIZES for the Prize Drawing which will happen at each stop along the way. Please join us for the Annual Charity Pub Crawl by purchasing a ticket and t-shirt at www.handhelp.org! If you cannot join us in New Haven, but would like to support our mission in other ways, please donate here and share us with your family, friends, colleagues, classmates, and peers via email, Facebook, Twitter, Instagram.